I love earthy metallic shades, especially gold and bronze. Every time I come across a new eye shadow range, the bronze or coppery shades are the first I would try on and usually buy. 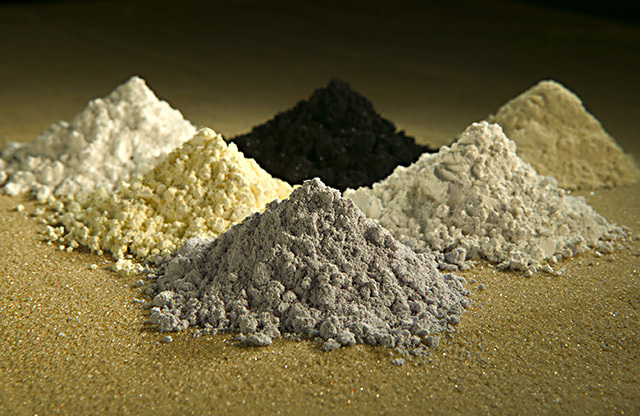 If I had enough money, I think I would buy all existing eye shadows and eyeliners in earth tones. In my opinion they suit all eye colors, but especially look good on brown eyes. The earthy tones are so easy to layer over each other , and no matter what combination, they always look great. 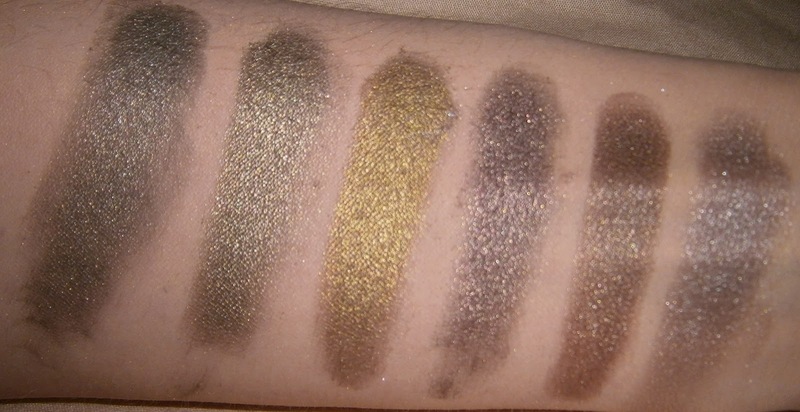 I swatched the earth metal eye shadows and eye pencils I own, for an easy comparison. They are clickable and can be made larger for a better view. 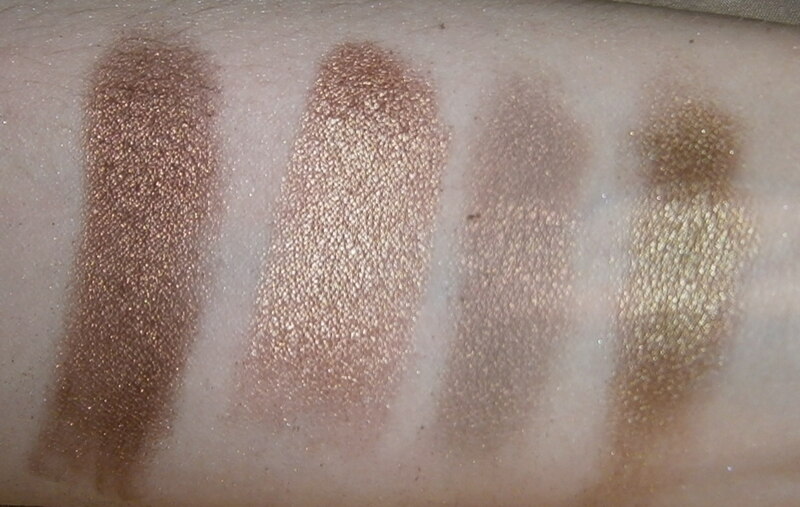 Bobbi Brown Long Wear Metalic Eyeshadow in Goldstone. Urban Decay 24/7 glide on pencil in Stash. Catrice Precision Eyeliner in I Wood If I Could. Makeup Forever aqua eyes waterproof Pencil in 5L. Bobbi Brown Long Wear Gel Eyeliner in Chocolate Shimmer ink. Urban Decay 24/7 glide on pencil in Underground. What do you think of earthy metallic tones? Gorgeous makeup looks! I absolutely love those colours too but I can never seem to pull them off! I also love gold and bronze shadows. Super pretty and pigmented! I love metallics too! Especially golden & bronze. Great swatches! I'm a big metallics girl! I love all of those! Plus I think they go great with brown eyes! i'm addicted to those colors specially silver and gold, love the post.